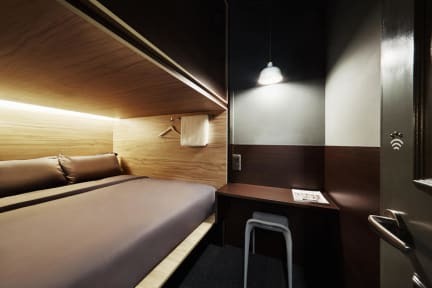 Located at the fringe of the Singapore Central Business District, The POD offers quick accessibility to the heart of the financial centre or immersion in the warmth of bustling Haji Lane - rated as one of the top shopping places in Singapore. The Hotel generally do not accept children below the age of 12 years old, each teenage guest below 18 years old will need to be accompanied by at least one adult. Funcionários grossos, e é muito caro, você fica em uma cápsula.